Are You Thinking About Moving To Mijas Costa? Mijas Costa is a beautiful stretch of coastline on the Costa Del Sol. Popular with holidaymakers, this whitewashed destination is perfect for any trip with family or friends. It holds a perfect mixture of tradition and culture, without leaving behind the beautiful beaches and stunning sea. But what if you decide you love it so much you want to move there? Moving to Mijas Costa proves to be a walk in the park (or on the beach) when it comes to the lifestyle. Found nestled between Fuengirola and the east Marbella resort of Cabopino, the area is full of a diverse range of restaurants, bars and shops. Mijas Costa is approximately 25 km from the Malaga Airport, which works out as an easy 20-30 minute drive. It’s perfect for friends and family to come and visit throughout the year without long transfers and tiring journeys. A taxi would cost around €40. There is a popular coastal walk to Fuengirola and over to Benalmadena which follows onto Torrequebrada. It is possible for walkers to venture all the way to Malaga if this is of interest – making for a great time to explore and discover new places. Living in Majis Costa couldn’t be more relaxing, however this does make it a very popular area and properties don’t stay on the market for long before being snatched up. A property boom hit the area in the mid noughties when thousands of British and Irish property investors and lifestyle buyers flocked to the area. It is recommended to 100% commit to moving to Mijas Costa before property searching to avoid missing out on the perfect villa. 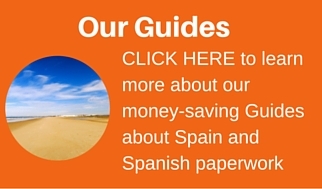 The good news is that there is a property for every budget, as prices vary largely in Mijas. A two bed property would set a buyer back by around €150,000, however it would not be a surprise for a more spacious 3 to 4 bedroom villa to be on the market for over €500,000. If you spot a great property at an even greater price in the area, it is advised the grab the opportunity with both hands. The area is very popular and many are constantly considering living in Costa Mijas. Leaving town to move somewhere where the sun shines is always a good idea, if it is possible to move around. Transport in Mijas Costa varies. A regular bus can be caught from nearby Fuengirola every 30 minutes which runs to a selection of beaches and towns. An overground train can also be caught in Fuengirola which runs a scenic route along the coast before reaching Malaga Capital. It also does a handy stop at the airport. There is currently no train link which runs directly to Mijas Costa. A hire car is a good idea to get out and explore more of Costa Del Sol, but not essential to enjoy a lazy week in the sun and lazing around the pool. Marbella is just a 15-minute drive away and inland pueblos of Mijas, Coín and Alhaurín el Grande are close by. Malaga City is around a 30-40 minutes leisurely drive which is the perfect distance for a day trip. If the kids are holding you back from living in Mijas Costa, don’t worry. It is home to many attractions for little ones, including its own water park complete with water slides, wave pools, play islands and body skiing slides. Mijas also has its own auditorium which hosts concerts throughout the summer months and a free flamenco show takes place twice a week in the village square. An outdoor swimming pool can be found in Osunillas as well as a football pitch and indoor gymnasium. 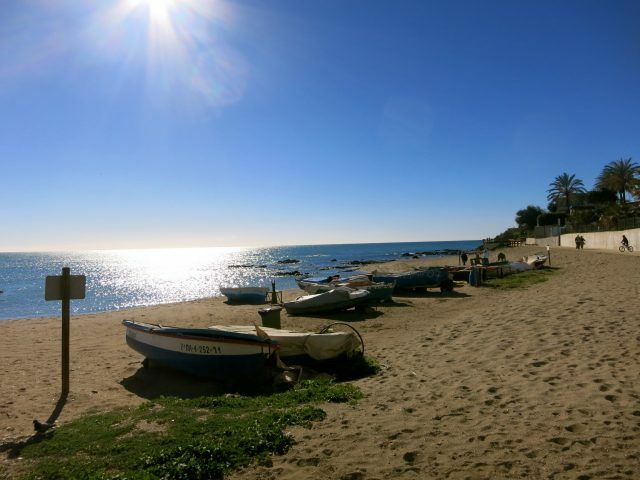 Beaches in Mijas Costa offer jet skiing, water-skiing and paragliding to keep every day fun. The destination is home to some of the best golf courses and nearby Miraflores Golf and Lawn Tennis Club comes highly recommended, providing entertainment for every age. For a night out, the Hipódromo Race Course proves popular with a family-friendly atmosphere, live horse racing and entertainment shows in-between races. The popularity of the area may not work in everyone’s favour for finding somewhere to live, but the wide variety of food and drink on offer makes moving to Mijas Costa amazing. A line of typical beach bars can be found built on the sand, locally known as chiringuitos. Favourites offered here include the local tapas. Spanish bars can be found sitting alongside Italian restaurants or even the odd cafe offering a full English breakfast. The choice of food available will never leave a disappointed face or an empty belly behind. So moving to Mijas Costa is a perfect move for anyone looking for a popular area in the heart of Costa Del Sol. The properties are hard to get hold of but once bought, never regretted. Activities are available for the entire family, from children’s water parks, play parks, sports clubs to golf courses. Those who like their food will never be disappointed, with a range of Spanish, Indian, Argentinian, Chinese and British food on offer to keep tummies happy and full. The area is accessible by train and bus from nearby Fuengirola and taxis are reasonably priced and highly accessible. The amount of British and Irish people in the area create a friendly atmosphere but do not take away from the natural beauty and cosmopolitan feel of this lovely destination. If you are thinking about moving to Mijas Costa, remember to consider housing, travel and financing and everything will fall into place. You’re not far away from owning your dream holiday home in an aesthetically pleasing and bustling area now. Book a flight, visit the area, we can arrange for you to visit properties. See if the children will feel comfortable there and most importantly, try to imagine yourself there. If you can see yourself moving to Mijas Costa and spending all of your time in the sun, then we say go for it.